Protec Floating Manipulative Therapy (FMT) is the only new advanced technology in the decompression industry in the past few years. Mr. Fumio Katane, of Protec Japan has developed the most accurate, precise, safe and effective procedure to treat non-specific back pain. FMT eliminates the exact gravitational pressure without exceeding or over stretching the patient’s damaged or irritated area. As effective as horizontal force/traction decompression may be, there still exists the potential to program either too much or not enough force. Both scenarios cause negative outcomes. With Protec FMT you can offer your clients a better and faster therapy! Why is the Protec FMT System Vertical? A person only experiences downward torso pressure on the lower back in the vertical position. Protec designed and developed horizontal therapy 10 years ago, but has continued ongoing research to improve patient outcome. 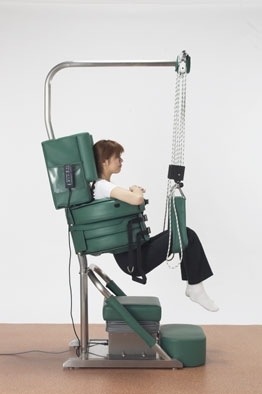 Protec FMT is the only system that allows the doctor to employ mobilization, exercises and stretches while the patient is experiencing spinal decompression at the same time. The result is significantly improved outcome and patient comfort. The vertical FMT system parallels the same logic as with upright vertical imaging versus horizontal imaging. Why is FMT so much more accurate than horizontal forced traction/ decompression? The formula for all horizontal table is based on the theory that half a person body weight occurs above and half below the beltline (iliac crest). In reality, this formula is seldom if ever accurate. Variables such as height, age, body morphology, bone density and tissue density renders the formula at best… A guess. As an example, muscle weighs more than fat… Therefore a fat person may appear bigger because of mass, but the muscular person weighs more because of density. Does FMT have the same indications and contradiction as horizontal therapy? What types of additional therapy should be incorporated during the treatment time? 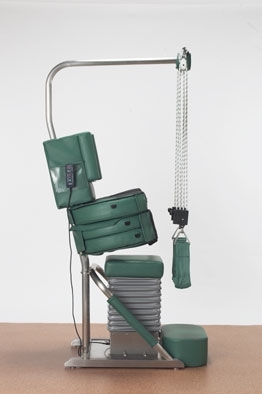 The FMT System includes spinal decompression, as well as concomitant stretching, exercise mobilization and therapeutic activity to improve flexibility and range of motion. Is there a cervical component (attachment) available? Yes. The cervical attachment is available as an option with the Protec FMT System. 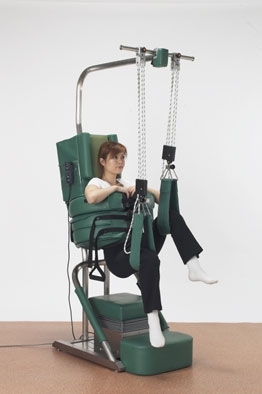 Can the Protec FMT System be integrated into any existing decompression practice? Yes. The FMT System will add a new dimension and procedure to treating back and neck pain. Because of the design of Protec FMT System, many acute lower back pain patients find it much more comfortable than the horizontal table. The Protec FMT System gives the physician many options unavailable on horizontal tables. JEMK Sweden is European distributor for Protec FMT system. Please contact Mr Pär Gester if you are interested in Protec FMT.